The stock market has been experiencing sector rotation recently. Now: the Dow is outperforming the NASDAQ (Dow is catching up). Conventional technical analysis would have you believe that this is a bearish sign for the stock market. Conventional technical analysis states that “the bull market is dead when the leaders become laggards and previous laggards become leaders”. Is this true? Or is it just financial dogma? The Dow has gone up 2 days in a row while the NASDAQ has gone down 2 days in a row. More importantly, this is the first such occurrence in 7 months. 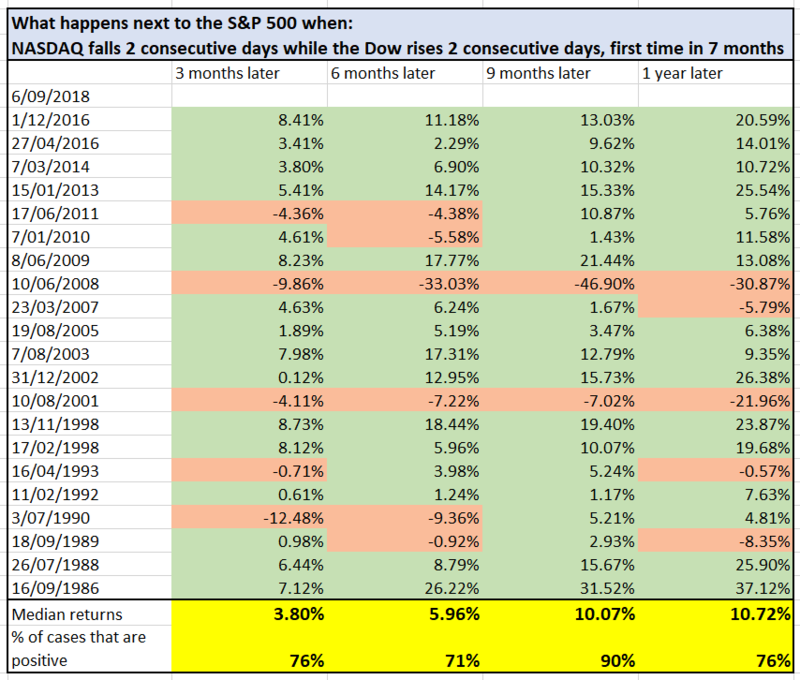 In other words this is the first time in 7 months in which the Dow has outperformed the NASDAQ. Here’s what the U.S. stock market (S&P 500) did next when this happened. Data is from 1985-present. 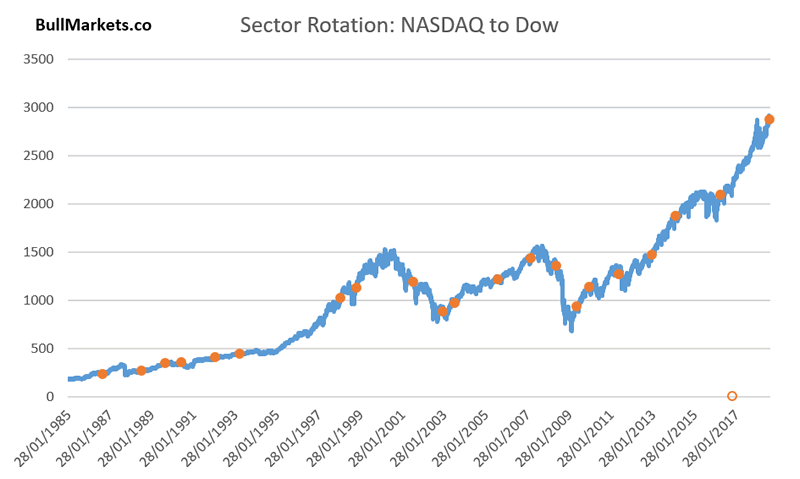 As you can see, sector rotation isn’t consistently bearish for the U.S. stock market. It’s a normal feature of bull markets. This study’s best forward returns were 9 months out. The 2 real bearish cases (2008 and 2001) happened AFTER the U.S. stock market had already fallen 30%+. This clearly does not apply to today because we are near all-time highs.